I’ve been experimenting with a recently made a batch of cherry hazelnut bitters from the indispensable book Bitters by Brad Parsons. These bitters are exceptionally cool, inspired by West Coast flavours of hazelnut, cherry, and devil’s club root. I’m very excited about playing around with these bitters some more and finding ways to showcase their flavour and pungent aromatic punch! 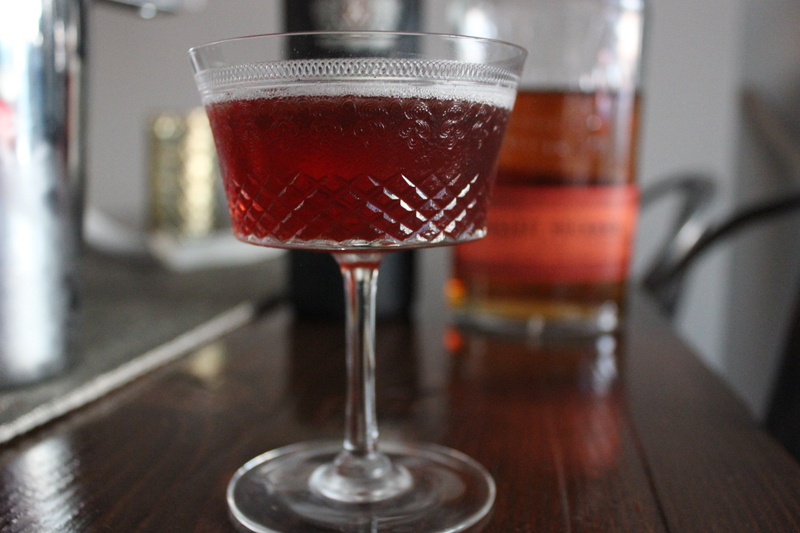 This is in essence a manhattan cocktail with port in place of sweet vermouth. It’s not really anything new to be honest, but since I also added the West Coast inspired homemade bitters I decided I had the right to call this concoction “The Port Renfrew”. This is a town that holds a special place in my heart, fondly remembered as the base camp for surfing expeditions and forays into the nearby pristine old growth forest. It also receives an average rainfall of about 3.5 meters annually, and this is just the kind of cocktail you would want to drink on one of those dark and wet winter nights on the West Coast. If you’ve ever been unfortunate to encounter Devil’s Club Root while hacking through thick forest brush as I have, you can take pleasure in knowing you’ve had the last laugh while you sip down it’s essence in this libation. 4 dashes of cherry hazelnut bitters, or whatever other bitters you may you have on hand. If you want to get close without making your own, add a couple dashes each of Fee Brothers cherry bitters and Fee Brothers black walnut bitters. 1. Chill a coupe glass in the freezer 5 minutes before starting. Add the candied hazelnuts to the glass. 2. Add all ingredients except the hazelnuts to a mixing glass filled with ice. Stir for 1 minute, then strain into the chilled coupe glass.